Knight Frank's Australian CBD Research has shown a down turn in supply in the Australian CBD office market. According to their research, 2013 delivered approximately 463,000 square metres of new and refurbished stock to the Australian CBD markets, a figure which is down 29 per cent on the 649,000 square metres recorded during 2012. Knight Frank’s National Director of Research, Mr Matt Whitby said the cities with the greatest supply during 2013 were Melbourne with 183,338 square metres and Sydney with 135,692 square metres. However, the supply of CBD office buildings has been at its lowest level since 2001 with the anticipated supply for 2014 to be 241,00 square metres. "This year, the only major high profile additions to stock will occur in Melbourne, with 150 Collins Street (Westpac committed) and 720 Bourke Street (Medibank committed) slated for completion. A handful of smaller new builds or refurbishments will also be completed in Sydney, Perth and Adelaide" said Mr Whitby. “Following relatively strong completion activity over the past two years, this hiatus in new construction completions over the next 12 months comes at a welcome time for the markets, especially those with an overhang of backfill and sub-lease space waiting to be absorbed". With many developers/owners actively reigniting their respective pipelines over the past 12-18 months, a rebound in supply will be recorded in 2015 with completions totalling approximately 562,000 square metres. 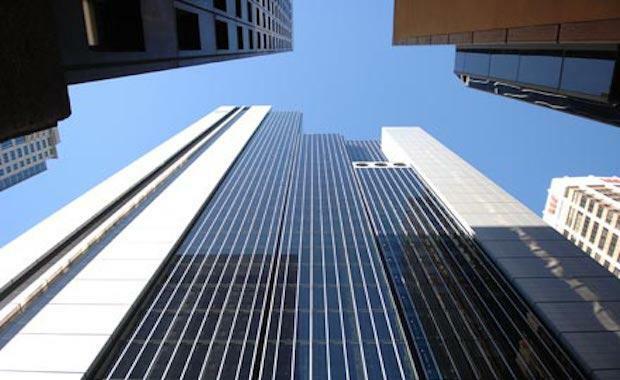 “This includes projects that commenced without tenant pre-commitments such as 180 Ann Street, Brisbane (Daisho) and 20 Martin Place, Sydney (Pembroke). Notwithstanding this, Brisbane and Canberra will be devoid of any major supply until late 2015. While new supply additions are expected to be relatively lower, backfill space will continue to be a major factor this year and increasingly so during 2015,” said Mr Whitby. “Investor demand for modern accommodation with long WALEs from both local and off-shore investors continued unabated in 2013, with sales volumes far outstripping 2012 levels, driven by numerous large fund through transactions and portfolio sales. “Last year there had also been an unprecedented level of site sales occurring in and adjacent to the CBD markets, namely Melbourne and Sydney, driven predominately by Asian developers, as the “highest and best use” of sites were, and continue to be, slanted towards residential rather than commercial use. “This trend will see an increasing amount of commercial stock withdrawn due to residential and hotel conversions, alongside a large number of obsolete stock being refurbished and modernised in an effort to attract tenants. This is the real game changer for markets, especially in Sydney and Melbourne over 2014/15, as the net supply figures (i.e. after withdrawals) will be significantly lower than the headline numbers, which will help cushion the market in the face of a soft leasing market,” added Mr Whitby.